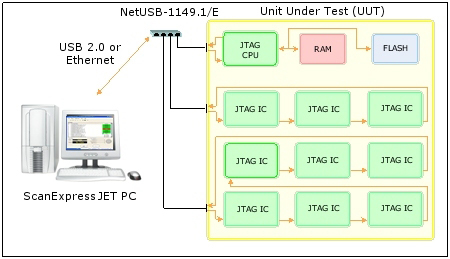 which provides an overview of what JET is, how it works, and the benefits of using JET in conjunction with existing boundary-scan and ICT test methods. Automatically constructs test plans that can be executed directly via ScanExpress Runner™simplifying test plans generation and reducing mistakes. 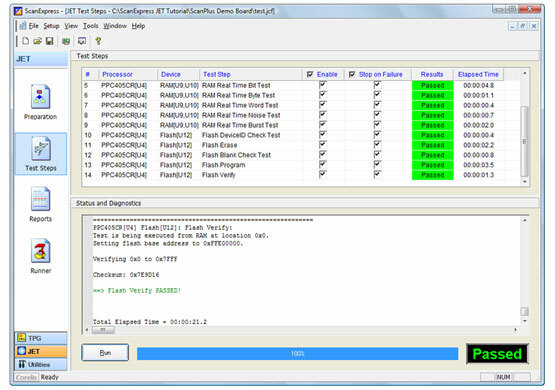 The ScanExpress JET tool is available as a stand-alone application or as a plug-in to ScanExpress TPG. Functional tests that are generated using ScanExpress JET are also compatible with theScanExpress Runner test executive. Figure 2 depicts the ScanExpress JET GUI. 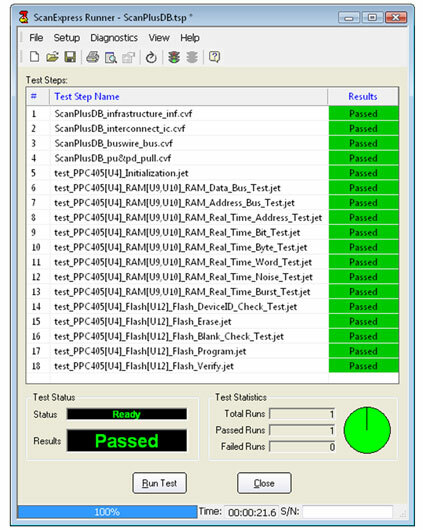 ScanExpress JET test steps can be executed from the ScanExpress Runner environment.ScanExpress JET will automatically pass the generated test files to ScanExpress Runner. Clicking on the Runner icon in the shortcut pane on the left side of the ScanExpress JET main window launches ScanExpress Runner.